As global developments create new challenges for the international legal system, the work of BIICL in advancing legal knowledge and practice is more critical than ever before. Our global impact continues to grow with our research, publications, training and events reaching over 65 countries worldwide in 2017-18. Our ability to address emerging issues and respond to the growing demand for our work depends on the ongoing support of our donors. BIICL is not publicly or privately funded by any one government, organisation or person. Whilst this makes us uniquely placed to provide an independent, authoritative voice in research and debate, it means we are reliant on ongoing donor support. 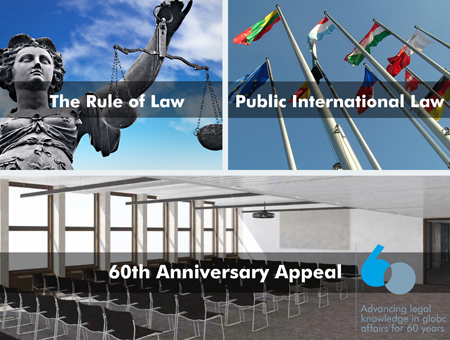 BIICL has launched various appeals to raise much-needed funding for particular causes and areas of focus in our work. Support for these appeals means we are able to respond quickly to global events and direct funding to where it is needed most. If you would like to discuss how you or your organisation can support our work please contact Florence Skinner, Development Manager. "International law expert - BIICL provide events and research"